Bulgaria features quite well on the golf destination map of the planet! It may be surprising to some but is in fact the result of many years of efforts and dedication. Earlier this month the blog golfscape carried a ranking of the 18 most impressive golf destinations in the world: featuring irresistible places in Europe, New Zealand, the Himalayas, Singapore, Hawaii and elsewhere. One of them is the Thracian Cliffs Golf & Beach Resort in Bulgaria. The site places ninth in greatness and is the only Balkan location in the golfscape top 10. The sites have been selected by golfscape based on deluxe accommodation, great scenery and remarkable design of the golf courses. 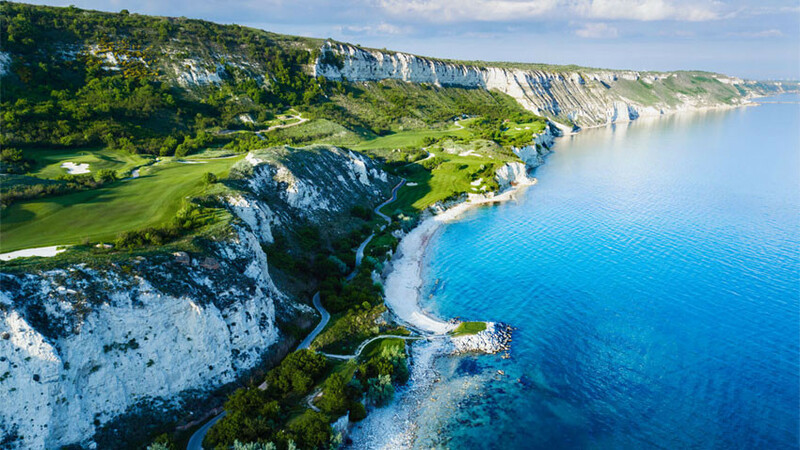 Thracian Cliffs Golf & Beach Resort combines a location opening dramatic vistas to the Black Sea with preserved wild nature in the Kaliakra nature reserve. The golf course has been designed by Gary Player and has 18 holes with picturesque seascapes. A state-of-the-art spa center offers a set of procedures referring to ancient practices but also using present-day techniques. Dining places highlight fresh local products. Thracian Cliffs Golf & Beach Resort is part of the Cape Kaliakra Signature Golf Coast in Northern Bulgaria. Apart from its breathtaking scenery the region is dotted with various historical and cultural sites. During the Classical Antiquity it was the home of the sophisticated Thracian civilization. This is where the name of the golf resort comes from.